School Board meetings take place monthly throughout the year, but members of the school board are attending to school business throughout the month. Whether attending conferences, reading volumes of information from our schools, visiting classrooms and attending school activities, the five individuals who serve as our school trustees dedicate hours upon hours to the leadership of PCSC. And we are grateful for their service. 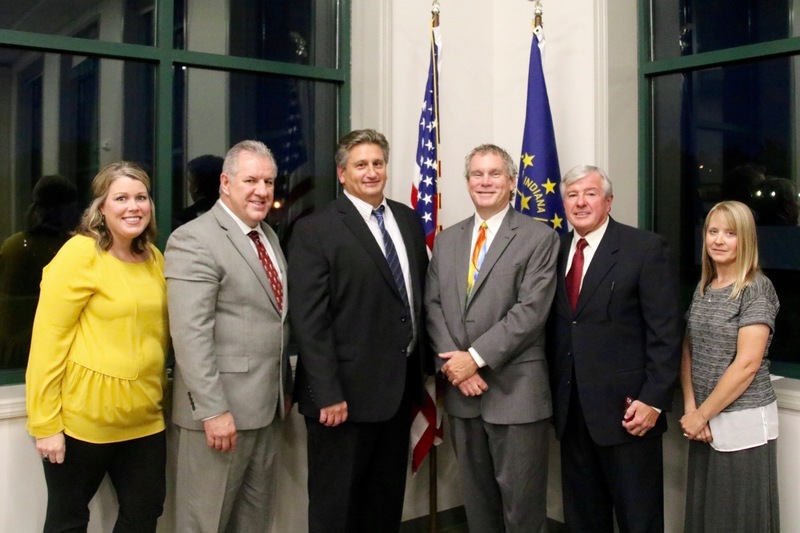 Pictured here, left to right: Katie Chamness, Parliamentarian; Mike Allen, President; Barry Blackwell, 2nd Vice President; Scott Flood, Secretary; Mark Todisco, former trustee and new Clerk-Treasurer of the Town of Plainfield; Jessica Elston, 1st Vice President.